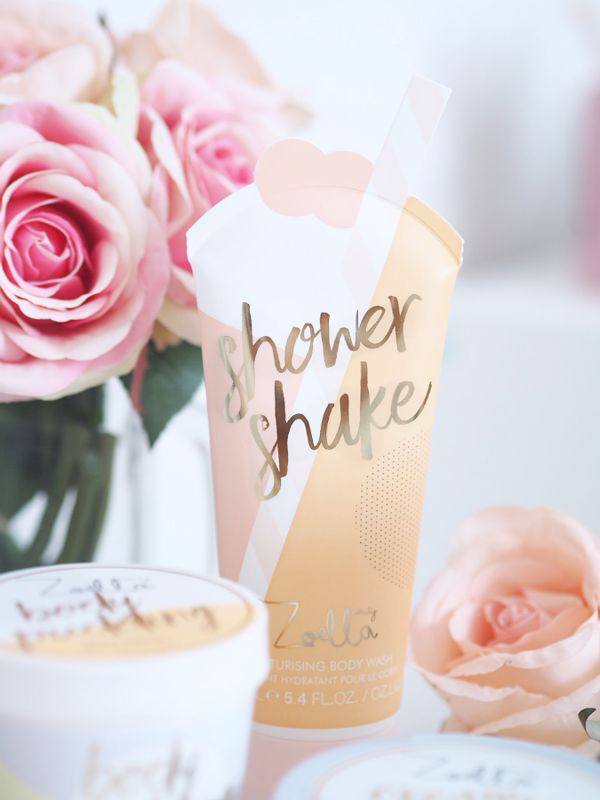 New in for summer…Introducing the Jelly and Gelato collection from Zoella Beauty. I received a beautiful package the other day full to the brim with goodies from this delicious new collection it even contained a mini deck-chair and some delicious macaroon kisses. This is my favourite range of them all, from the products right down to the packaging. Inspired by sweet fruity jellies and creamy gelato, this range is full of pretty pastel prints and fruity flavours perfect for summer. 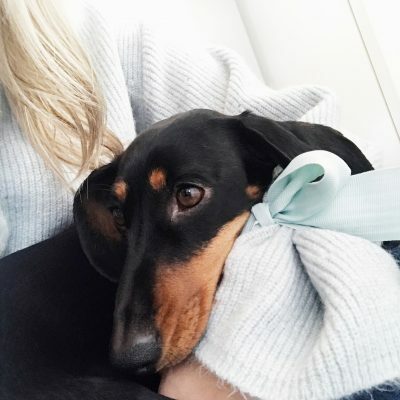 As always Zoella beauty is against testing on animals and is completely cruelty free. I was super happy to see this ‘Bath frosting’ (£7.00) bath milk powder in this collection as one of my favourite products in the past was the Bath latte, in the little milk bottle. The tub contains little bath sachets, to pour under running water to turn your bath water milky white. Love, love, love! How insanely cute is this ‘shower shake’ body wash?! I can’t cope. Priced at £6.99 it doesn’t only leave you feeling squeaky clean and smelling delicious, it also moisturises your skin too. The formula of this is super creamy and rich, I love it. This creamy, polishing body scrub smells super fruity and is perfect for exfoliating those pesky hard skin areas, this is priced at £7.50! I seriously cannot get over how much I adore the packaging in this collection, it really is her best work yet. From the product designs to the fonts and pastel colours. Such a pretty collection for all ages. Gelat’eau body mist priced at £8.00. I love how soft this scent is, it isn’t overpowering or sickly. Containing notes of elderflower jelly, and rich double cream this is a refreshing light summer scent. This ‘Body pudding’ body cream contains little pink sprinkle inspired beads, to release an elderflower and pomegranate scent whilst massaging into the skin. This also turned out to be one of my favourite products, it smells absolutely b-e-a-utiful! The Jelly and Gelato collection is available now from Superdug stores, and online at Feel Unique and Superdrug websites. Other sweet items from this collection include a beauty bag, and shower sauce, dreamy. What do you guys think of this super sweet collection? 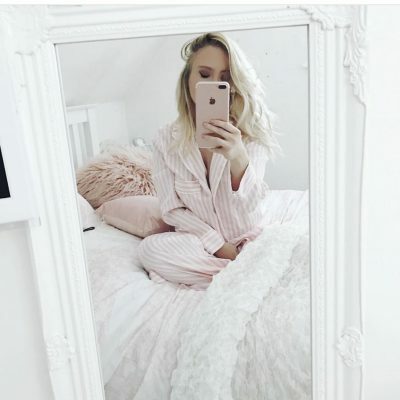 Previous Post Summer nights with TK Maxx! Next Post Zoella lifestyle new homeware collection! the collection is beautiful! This time I have to give Zoella Beauty a try. I promised myself that I would for a while now, but each time I go shopping, I end up buying something else… Enjoy your new beauty additions. 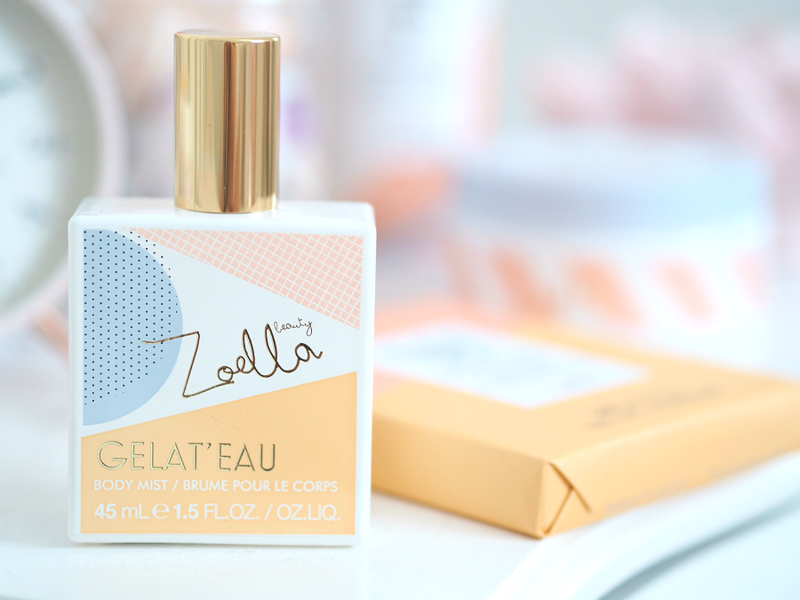 I love Zoella and I love the packaging!! I love the look of this collection from the packaging to the products. I love the sound of the bath frosting and the body cream, I will have to see if I can spot them in store. 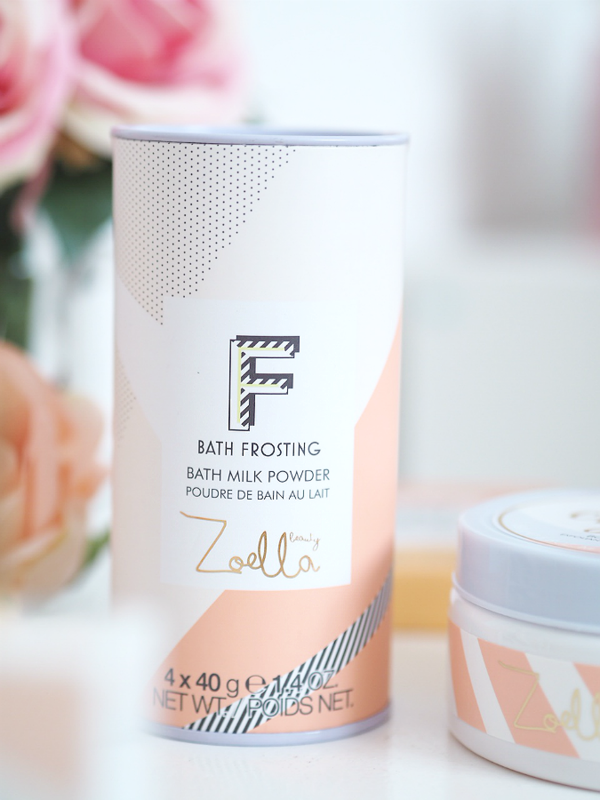 I’ve never tried anything by Zoella, but the packaging of these products is so beautiful, and the prices are great! I didn’t know that her collections are cruelty-free either, that’s great news, I’ll have to keep an eye out! The bath frosting looks particularly tempting! the body cream sounds amazing and the whole range just looks absolutely lovely. 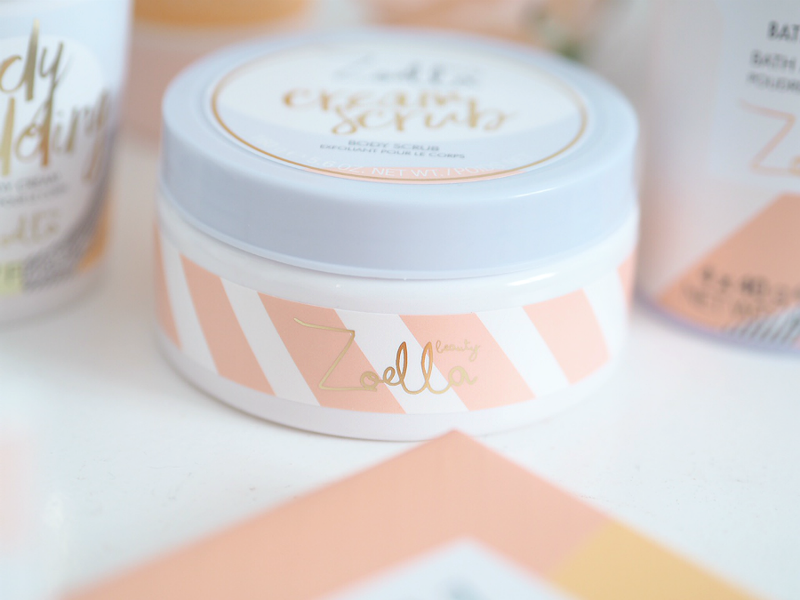 Although I haven’t tried anything from this Zoella range yet from looking at it in terms of packaging I LOVE it. It is my fave yet. I love the styling, colours and the fact that it feels more sophisticated. I like the sound of the shower shaker and the body pudding. As soon as it is released into Superdrug I am heading down to get a few bits for sure. I adore the packaging of this launch too! And it’s being sold at Ulta in the US so I can easily get my hands on some now! I definitely want to try a few of these things. In loveee. The body pudding sounds absolutely incredible! I’ve just bought all of these and I’m so excited to try them all, they look incredible ? the packaging is beaut as well! 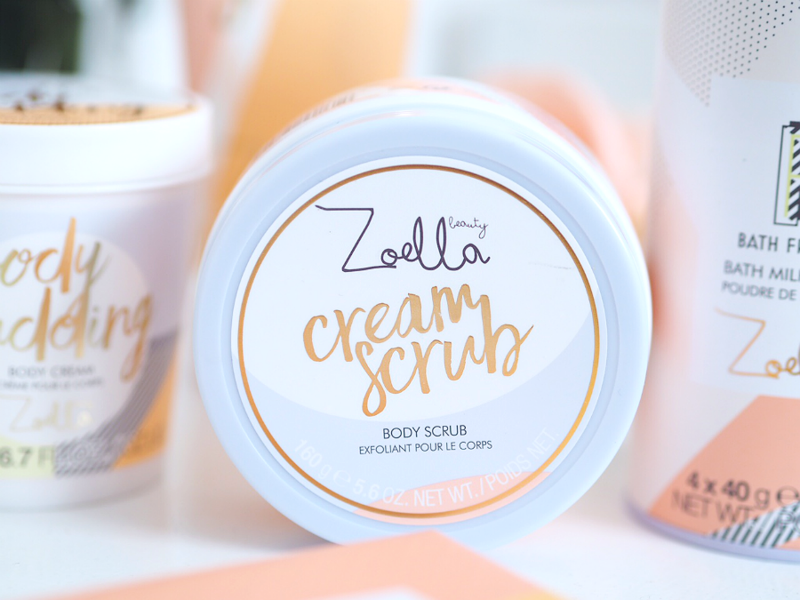 I am SO excited about Zoella’s new range! She always seems to improve her ranges year on year, and this one has been the best by far… I don’t know how she does it! I really enjoyed reading this post, thanks for posting hun!